Imagine yourself on top of the world, surrounded by beautiful mountains, fresh air, and aspen trees. A short scenic 29 mile drive from Breckenridge, Colorado and only 1.5 hours from Denver, American Safari Ranch provides a real ranch experience with real horseback riding. Don’t settle for nose-to-tail trail rides. 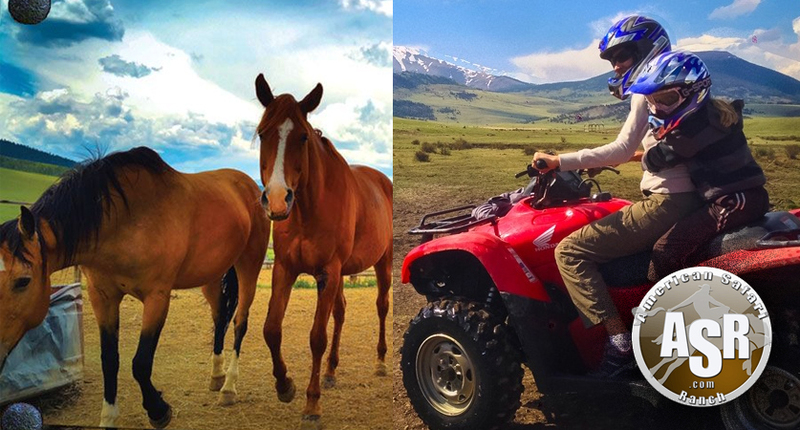 Now, imagine going from horseback to zooming along on one of Colorado’s best ATV tours! Thus adventure is fun and safe for the entire family, and also perfect for those seeking adventure! Bring your friends, group, or family, and we’ll show you an unforgettable experience. Ages 8+ can ride own Horse, Ages 16+ can ride own ATV (must have valid driver’s license).